Kate Nepveu is starting a reread of Jonathan Strange & Mr. Norrell over on Tor.com. 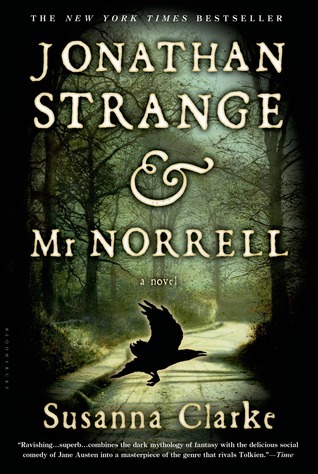 I have never read Jonathan Strange & Mr. Norrell, although I quite like typing it. And yet I just never got around to picking it up. Perhaps the cover? It doesn’t exactly fill one with awe. Perhaps I just never had a good reason. Whatever the case, I have been remiss and I intend to correct that now. So, I shall start the reread along with Ms. Nepveu. I will be posting my own thoughts on the chapters on the same schedule as the Tor.com discussion. Are any of you planning to read along? If you’ve already read the book I’d love to hear your opinions about it.